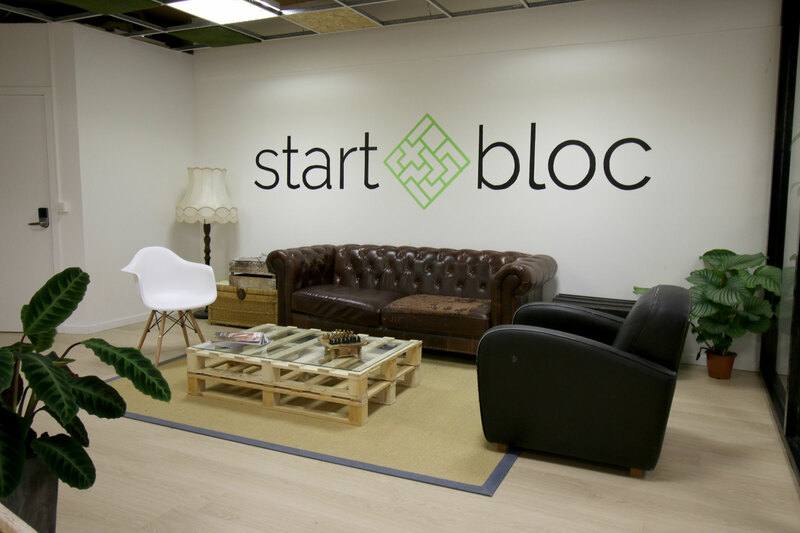 Startbloc is a coworking space in the heart of Antwerp! We are located right across the ‘Boerentoren’ near the ‘Groenplaats’. Yes, more central than that is impossible! Describing Startbloc in a few words? Euh… central, community and flexible! You already got central! But why community? We focus on self-employed who just started out, startups, freelancers and everyone who can be an asset to the community! You don’t only come work here, you really become part of the community. You get to know coworkers that can help you with a problem you have now that they already overcome. A sounding bord under one roof! Startbloc is flexible. Fact. Startbloc is 24/7 accessible with a badge. But what about our subscriptions? You want to work for a day? No problem, we have a day pass. Or are you going for the more advantageous monthly package? It’s monthly terminable! Do contact us if you want to visit our place! We would love to give you a tour! 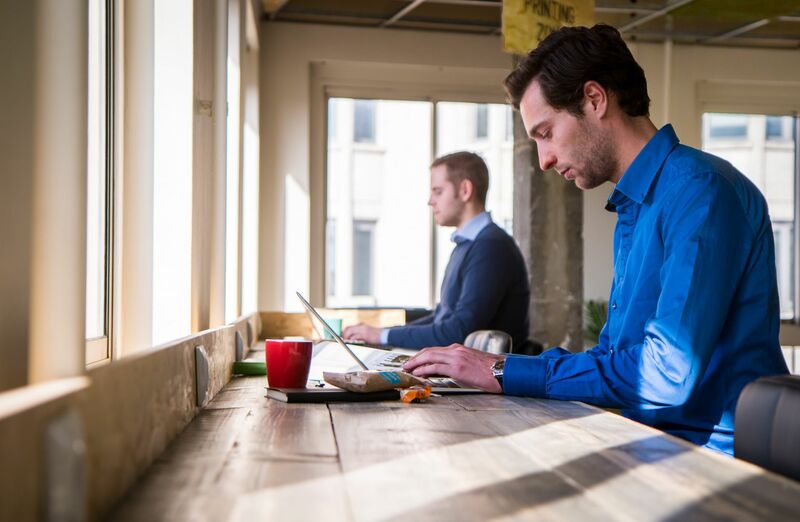 Startbloc is een coworking space in het hartje van Antwerpen! We zitten recht over de boerentoren. Ja, centraler kan niet! Startbloc beschrijven in enkele woorden? Euh… centraal, community en flexibel! Centraal heb je al door! Maar waarom community? We richten ons tot beginnende zelfstandigen, startups, freelancers en iedereen die een meerwaarde bied aan de community! Bij ons kom je dus niet alleen om te werken, je wordt ook echt deel van de community. Zo leer je andere coworkers kennen die je kunnen helpen met een probleem waar jij mee zit en dat zij al hebben gehad. Een klankbord onder één dak! Startbloc is flexibel. Punt. Startbloc is 24 op 7 toegankelijk met je badge. En wat dan met de abonnementen? Wil je maar 1 dag werken? Geen probleem, we hebben een dagpas. Ga je toch voor een voordeliger maand abonnement dan is dat maandelijks opzegbaar! Neem zeker eens contact op voor een rondleiding. We leiden je graag rond! Are you a member of StartBloc? "If you are looking for something that is worth every cent, you have find the place here!" Startbloc isn't just a co-working space, It's a state of mind. First off, It is one of the best locations in Antwerp. Right in the buzzling centre of It all. Perfect for commuting to meetings or just going on a walk. Only when you meet the team of Startbloc you will notice where the real value lies. They will always try to tend to your every entrepreneurial needs. 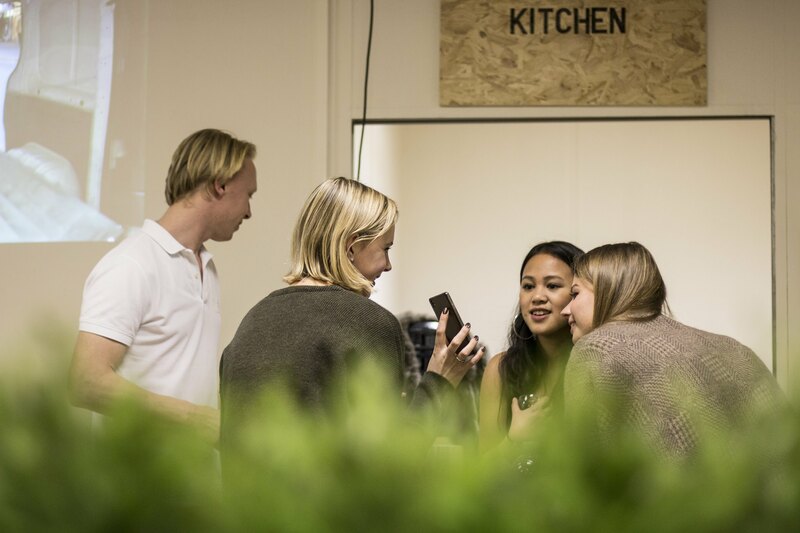 From brainstorming to connecting you with like-minded people, your succes is their succes. The facilities are clean, the WI-FI good and the desks comfortable and open. In short, stop looking, you have found the perfect co-workinng. 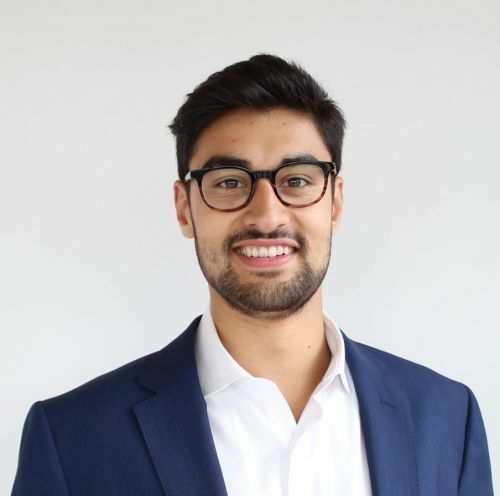 "My value for money hub of focus and creativity"
In essence, I manage to work more productively at StartBloc than in any other coworking space I have tried out so far. I love the fact that the space is modernly furnished and gives me the option to switch my seating from time to time, so I can enjoy the great view of the city centre from time to time. 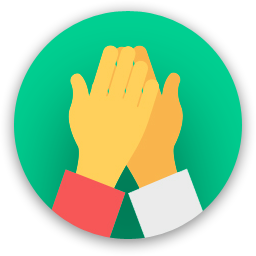 Another major thumbs up is the community, and talking to others has helped me out so much with bouncing my ideas and finding creative solutions (we're all in the same boat)! All the amenities you would expect are readily available in the cosy kitchen corner, and most importantly the coffee is free! I have never experienced any issues, and the friendly owners are almost always around to help you out with anything you need. And all of this for a very reasonable price, especially compared to other spaces! "Amazing and peaceful place. Ideal to work"
I really liked it the way it was organised. The place was sober but enough to feel good. Maybe there could be a dinnerroom because now we had to move things and it wasn’t that big. If there were more people it would be to small. And of course the event was amazing with amazing coaches. I loved the view. It was nice to work here. The screens where big enough. It was very helpful to have a charger for the electronics. It wasn’t that easy to find the spot. Also to come in for the first time isn’t easy. We had to call one organizer to get in..
"Not only a place, also shared knowledge"
I fist read about StartBloc in a local magazine. After doing some research, I decided to settle my HQ there. Now, a few months later, I couldn’t be happier about making this decision. 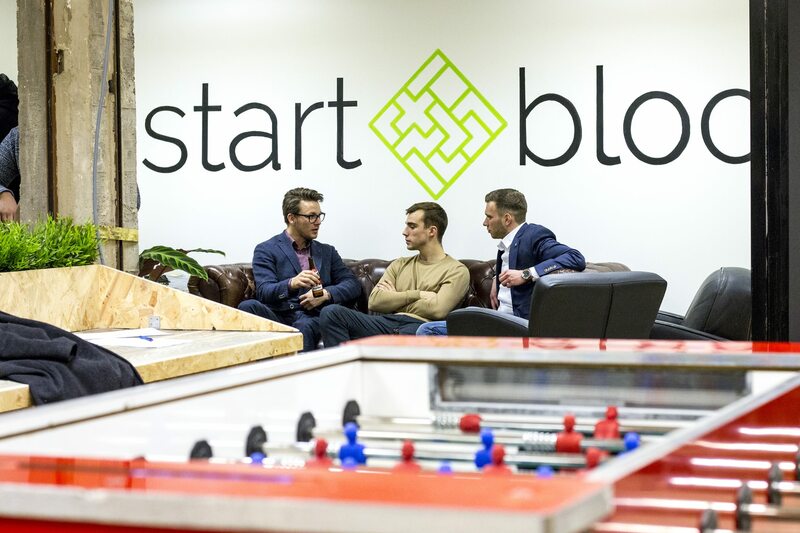 Not only do you have a prime location in Antwerp (the startup center of Belgium); you can also count on the knowledge of the StartBloc founders. Bart advised me on how to use Google Analytics to boost my business while Olivier told me everything about the legal side of scaling my company. 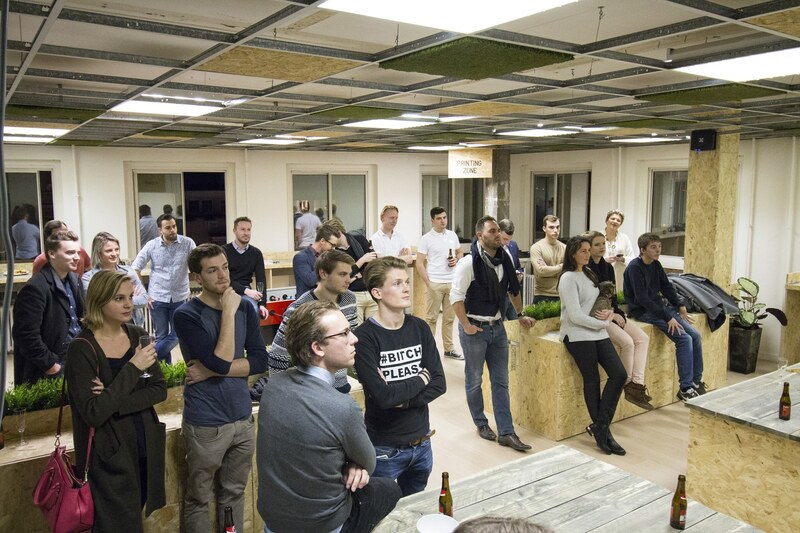 So, to conclude: If I were you, I wouldn’t look any further and book a spot at StartBloc! 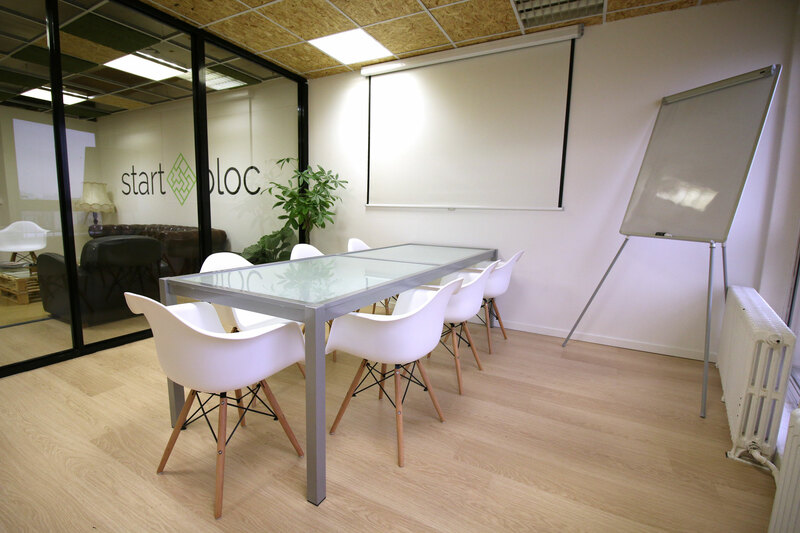 "Cosy coworking right in the city center"
Easily accessible with public transportation and right in the heart of the city is where Startbloc is located. The view on the 7th floor is amazing, the wooden design and the touch of green make it a lively and cosy atmosphere to work in. There's room for relaxation with the kicker table and the couch where you can find some interesting books and magazines. There's a meeting room available with the possiblity to give presentations, there's free drinking water and coffee and on Tuesdays you get to lunch for free! The owners are often present and I've always been able to ask them for advice while starting up my own business. I would definitely recommend Startbloc to anyone looking for a cool, flexible coworking space! 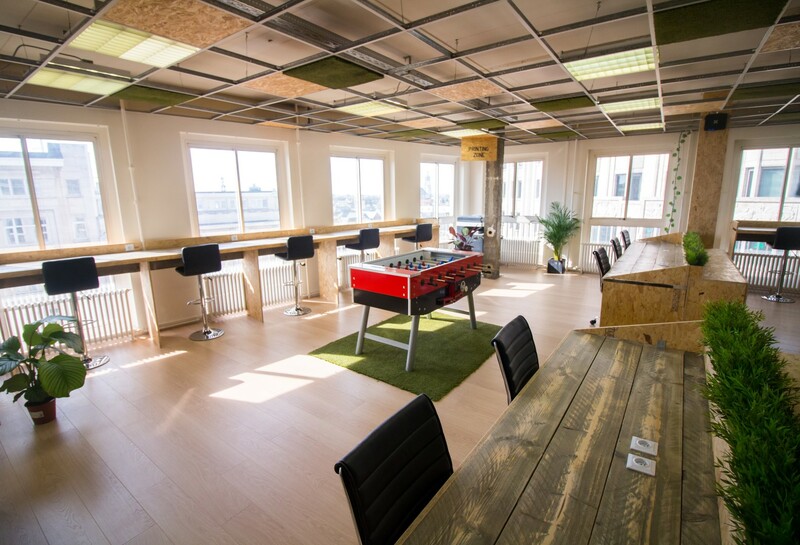 "Ideal meeting & working place in the city center"
Working in a vibrant, fun & open co-working space, in the skyline of Antwerp, is always a pleasure. With the handy manner of hosting your companies chair, the ability to receive customers and meet interesting companies, Startbloc offers a clean, good, practical and amical environment for a very good budget. I would recommend this city-centered coworking space to all freelancers, companies and co-working enthusiasts. By the way, good coffee. But if you want go get a bite, in a radius of 100 meters you can find all you need. Location, wifi, community are very nice. And most of all, I can invite people to a very cool location. "My favorite coworking space of belgium "
Of all the coworkering spaces of Antwerp, I like this one the most, by far. Very accessible, crazy my location, beautiful view, a LOT of sunlight and very nice ppl. Just a very good environment to work, to chill, to organize events and to get to know each other. Besides all this, the price is very low and the comfort very high. I would definitely recommend this place to everyone looking for a cozy spot to work. They also have different prices depending on your needs. Great and fast internet, printer and water. The owner is a funny vegan guy. 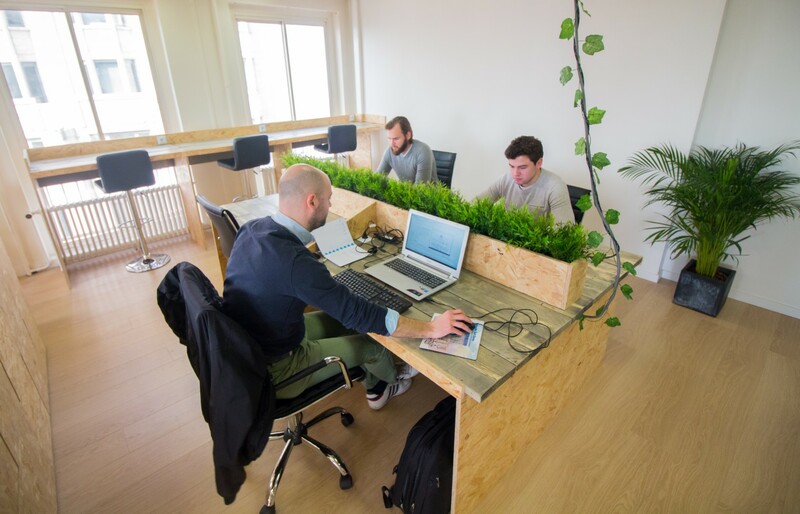 "Nice, Bright, productive space "
The Coworking rooms of StartBloc are very nice, peacefully located high above the tumultous heart of Antwerp. They stimulate efficiency and productivity with easy access to WIFI and inspire with theyre simple het efficient decorated rooms. Loved the little touch of green! A kitchen is available to heat up your meals or make a nice cuppa, and thanks to it's central location there are a lot of possible opties to go grab a quick bite and set your mind off of things, before returning to work. 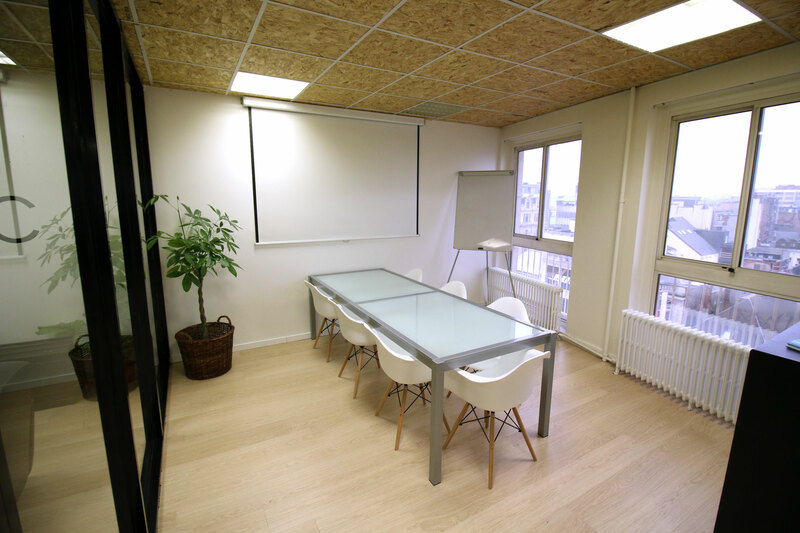 Coworker also provides access to meeting rooms, and facilitates your needs to technological installations to present powerpoints or to brainstorm. Big fan! An absolutely lovely place to organize meetings, throw events for partners, give workshops, test out new concepts, brainstorm and deliver value to each other. Place where ideas are transformed into reality, and words are being backed by hard work and action. "All it needs to be!" Nice co working space in the heart of Antwerp right next to the most important start up hubs and best restaurants & café's. They are very flexible with the access to the location. Beautiful view out of the window over the "Meir" Shopping street. Very good WiFi and equipment. Also features a meeting room and a kicker table. Free drinking water and small kitchen is available, this is definitely a big plus. Over all great working spot, I would recommend this to anyone looking for a cool and flexible working spot in Antwerp today. You should definitely check it out! 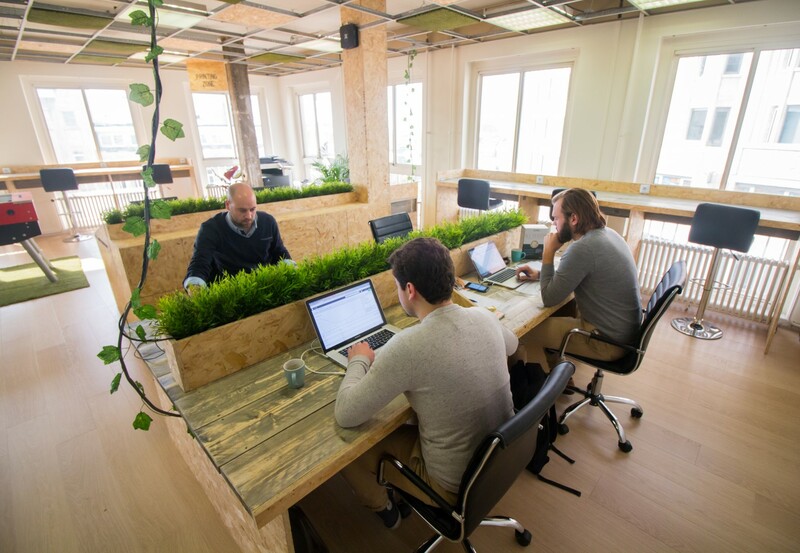 "Cosy coworking space in the heart of the city"
A place where you can be yourself. The design is not very high-end but I like it that way. It gives me a comfortable feeling. I like the chill out area where are some surprisingly interesting books laying around all the time! You feel at home very easily. The free lunch on Tuesday is very cosy. It is a relaxed atmosphere to be! The location is perfect for me, great to get there by public transport. 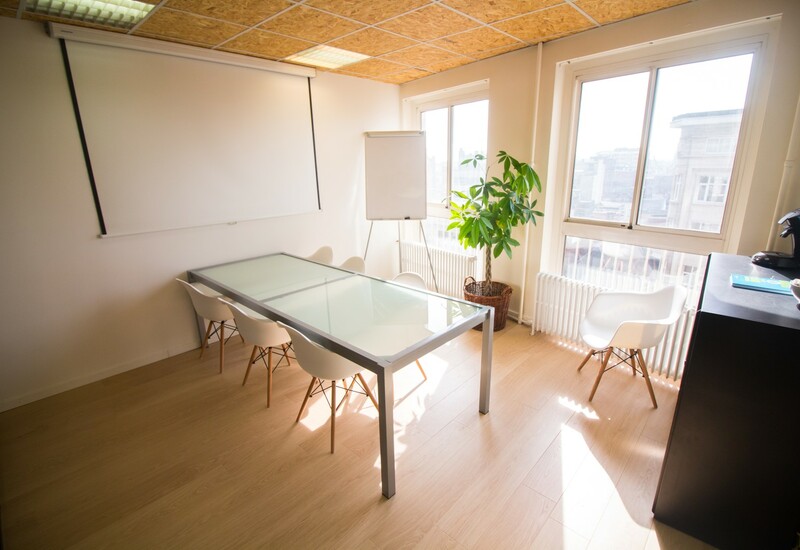 The view is definately one of the most significant aspects that make this coworking "next level". It is just great to be able to view over the city while enjoying a coffee. I love going to the jazzbar De Muze with the others for an after work beer, feel free to join us! Bring a short intro about who you are, a leave behind, or join an evening event! CoffeeLabs isn't far away and bids a wide range of coffees, theas, and snacks. After you're done coworking you should definatly hang around Antwerps Grote Markt and Enjoy a beer to the view of out beautifull Cathedral to relax! Mama Matrea is an awesome cocktail bar just around the corner with an afterwork of €4/cocktail! StartBloc will be in touch with you soon to confirm. 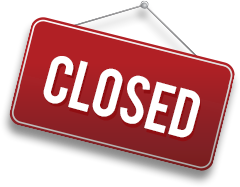 StartBloc has received your membership enquiry and will be in touch with you soon.